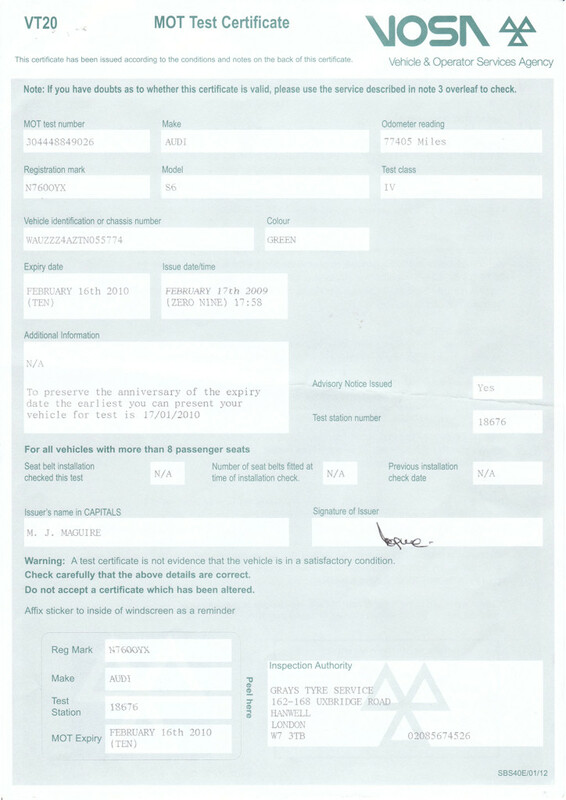 Ah, the MOT… a single piece of paper that is hugely misunderstood. But it can be of great help to the car buyer IF looked upon correctly. …a physical safety test completed at a government-approved MOT centre. It is required on every car’s 3rd birthday and every 12 months after that. …a guarantee that a car is in good condition. But if a car passes an MOT (Ministry of Transport) Test fairly, then it does point to the basic parts being safe overall. Of course, a car that has non-safety-related issues such as overheating or a damaged engine may still pass. Also, if the seller knows some ‘dodgy geezers’ who run an MOT centre, you will be amazed at what they can get away with. …then there should also be an orange-coloured Advisory Note which will list items that, although not failures, are still faults with the car. But you can always be even craftier! 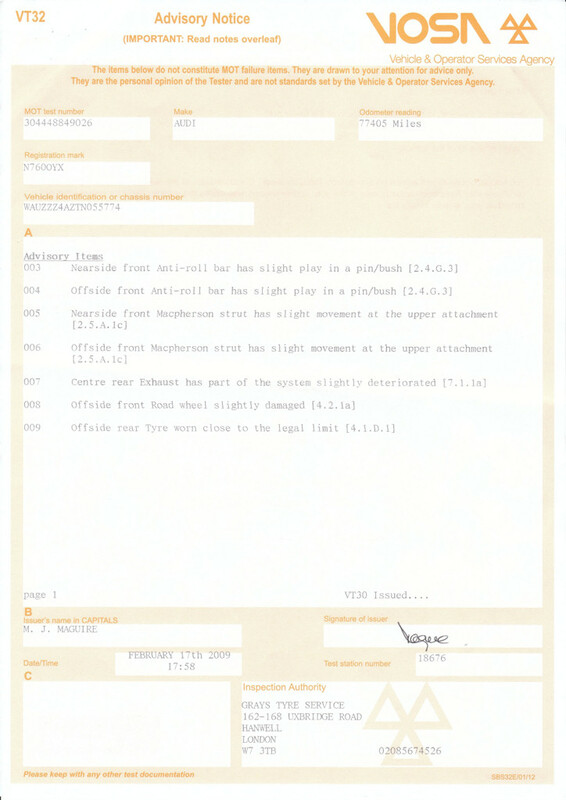 The government now lists the history of all cars’ current and old MOTs online. All you need is the car’s Registration Number and the MOT Test Number from the current MOT (shown in the top left most box). Just go to www.motinfo.gov.uk, enter the site, select ‘Request History’, enter the car details and have a browse through the details of the MOTs. Don’t worry, it will MOT be long until you hear from me again!